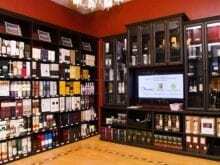 Retail solutions allow customers to easily browse your wares, whether you sell clothing or books. Various knobs, pulls, doors, and drawer front options provide design selections to fit your aesthetic. Lago® Milano Grey finish provides a dark, masculine backdrop. Tesoro™ Corsican Weave backing is a tailored accent. Brushed Chrome modern hardware adds polish. 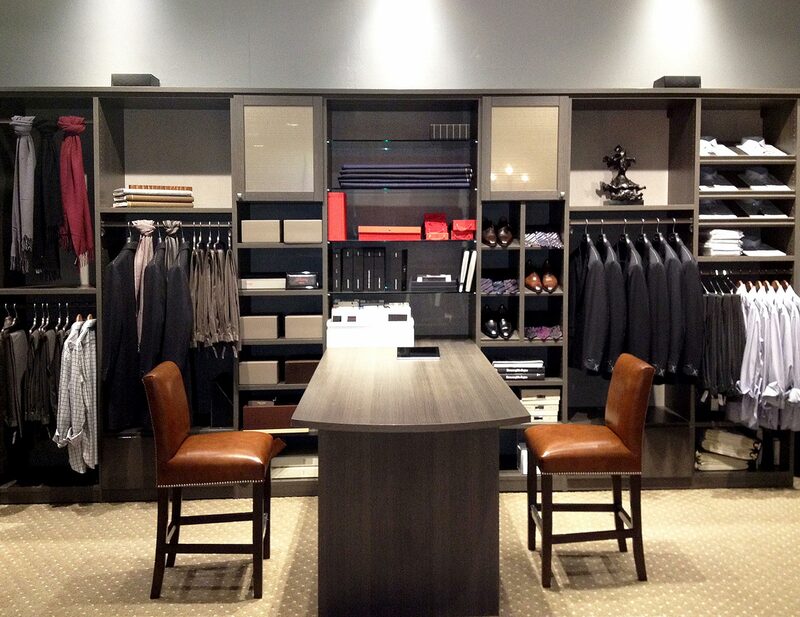 Oil-rubbed Bronze fluted poles create hanging space for clothing and suits. Supermatte fronts finish provide concealed storage. Baskets create accessible storage for clothing and accessories. Designated scarf, belt and tie storage ensure organization. 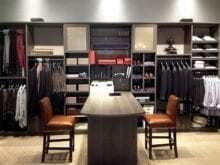 Peninsula offers a place to consult with clients. Valet rods provide extra hanging space. 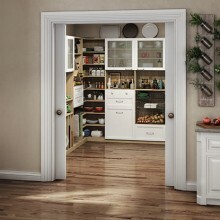 Tuscan Moon 5-piece flip-up doors with Fairytail Ecoresin optimize available space and provide an artistic accent. 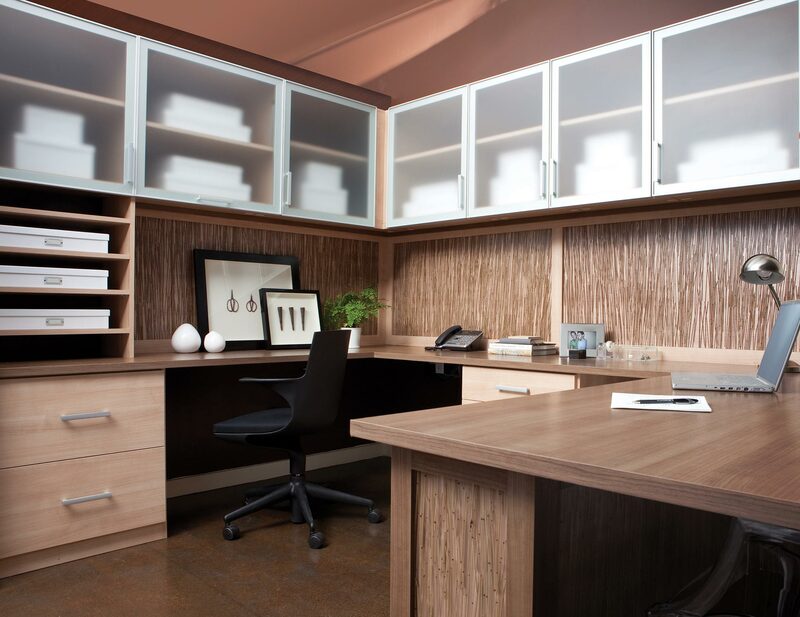 Lago® Roman Walnut finish provides a natural and neutral backdrop. 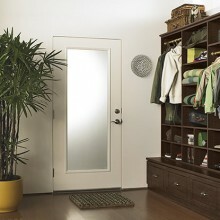 Aluminum frame doors with Satin glass inserts add a soft touch and conceal supplies. Ecoresin Thatch back panel and modesty panel create a seamless look. 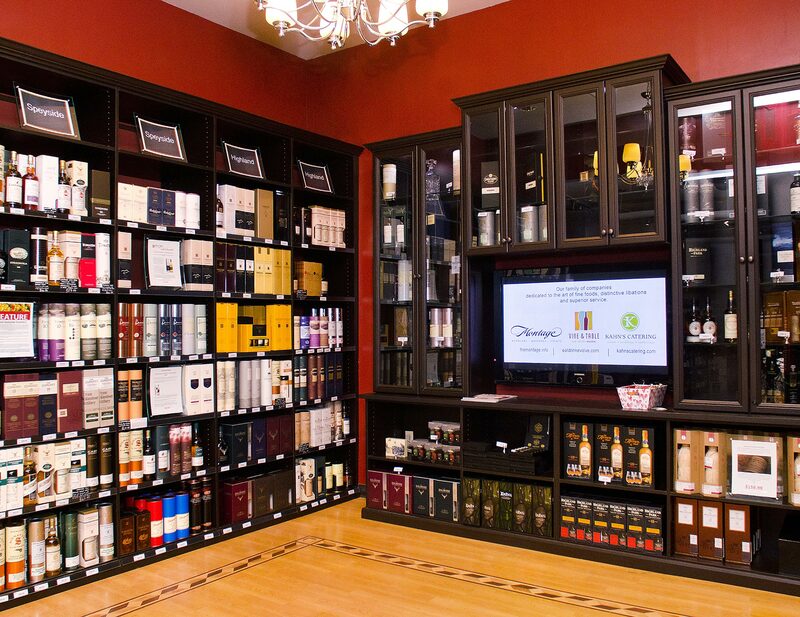 Adjustable shelving offers flexibility for changing needs. 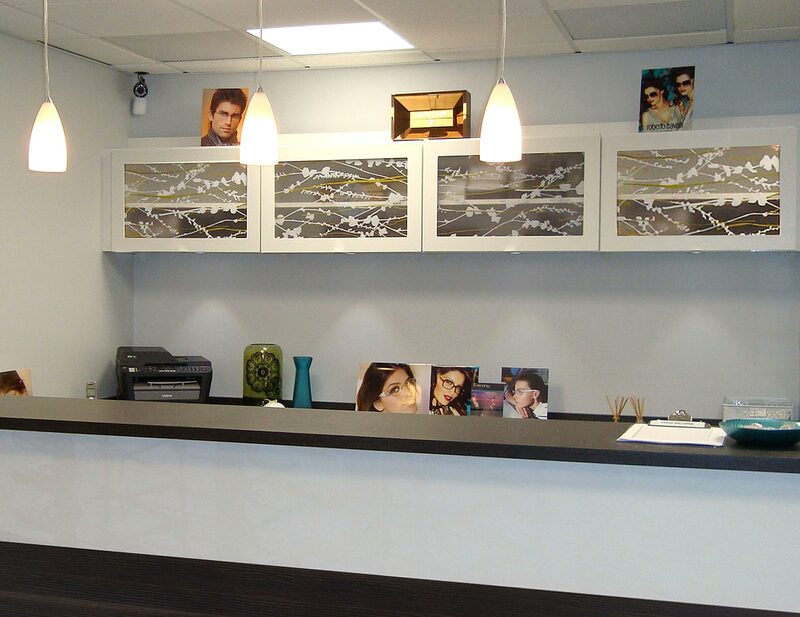 Slab drawer fronts lend a modern feel to the space. Lago® Adriatic Mist finish provides a neutral backdrop. 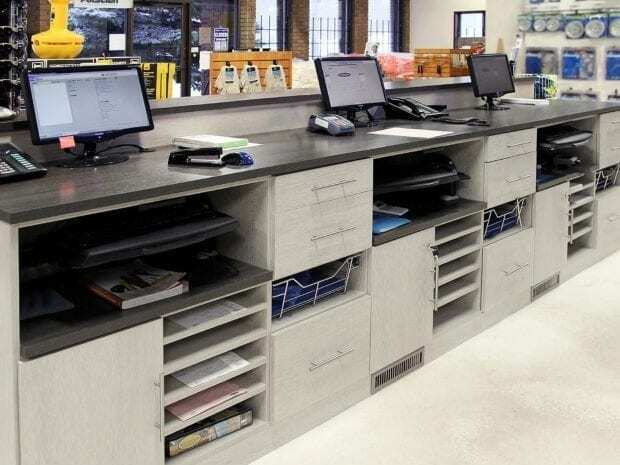 Lago® Milano Grey countertop creates a designated work space for employees. Slab door and drawer fronts lend a minimalistic, modern look. 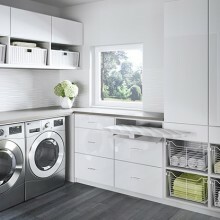 Chrome pull-out baskets offer accessible and flexible storage for supplies and equipment. Chrome decorative hardware adds polish. Designated paper storage ensures organization. 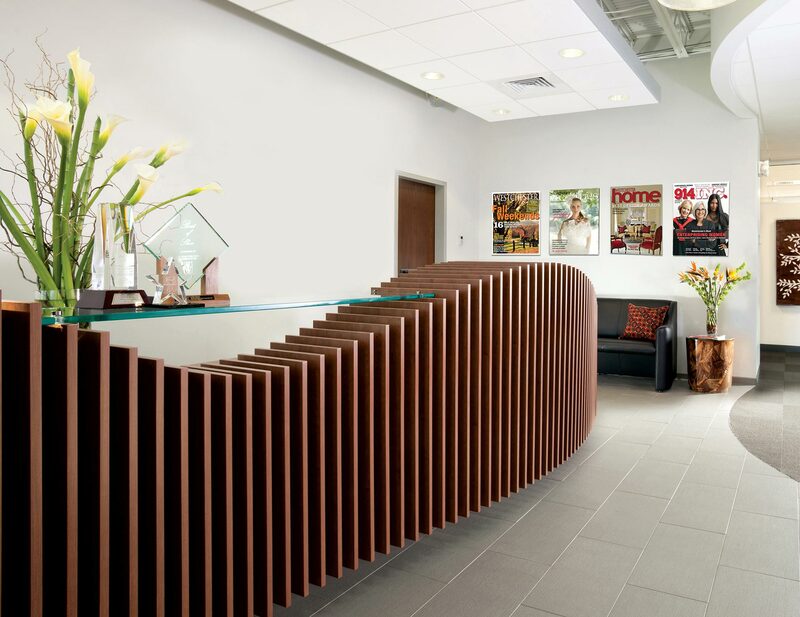 This innovative reception desk is both functional and beautiful, creating a bold statement the moment clients walk in the door. Lago® Roman Walnut finish adds warmth to the modern space. 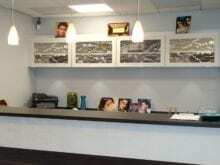 Glass countertop provides space for accents and information. Vertical "wave" effect adds artistic flair. Lago® Venetian Wenge finish lends a more traditional look. 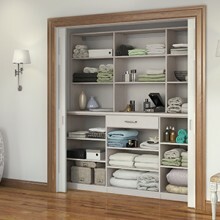 5-piece Traditional door fronts with glass inserts provide viewable storage. Traditional crown molding detail offers a built-in look. Oil-rubbed Bronze decorative hardware blends seamlessly into the design.